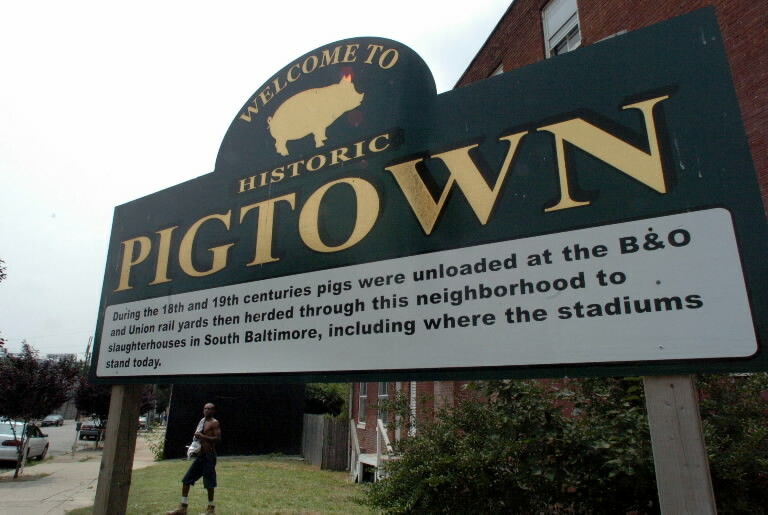 Pigtown is a Baltimore neighborhood some two miles south of Sandtown, Freddie Gray’s neighborhood. Gray’s death on April 19, a week after the 25-year-old black man was arrested and suffered injuries while in police custody, triggered mass protests against the treatment of Baltimore’s black communities by law enforcement. The protests escalated into violent unrest, and both local authorities and the Department of Justice are investigating the circumstances of Gray’s death. Pigtown’s white residents say that while skin color plays a role in who is targeted by police, they’ve come to believe police harass them as well because like Sandtown residents, they’re poor. Michael Brown, 22, who grew up in Pigtown on the same street as Sarah and Roy, echoed his neighbor’s sentiment. Because most Pigtown residents are poor, police assume they’re committing crimes, Brown said, treating black people as drug dealers and white people as drug buyers. Read More Baltimore’s Poor White Residents Harassment | Al Jazeera America. This entry was posted in News from the Soul Brother and tagged Baltimore, Billyland, Pigtown, police abuse, race. Bookmark the permalink.